Hi friends! There are so many amazing places to see in India. I am going to share my bucket list for the year 2019 with you all. These are some of the most beautiful and interesting places to travel in India. I hope you must also have planned or started to plan your adventures for this year. After all, new year means new explorations and new learning. I am sure you must be looking forward to traveling to some of the most exotic places on earth. I, for one, have my bucket list of must-see places this year and I sincerely hope that things move as per the plan and I am able to see all these amazing places in India. So, here is my bucket list'2019 for you. 1. 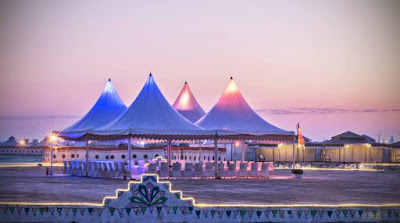 KUTCH RANN UTSAV - First up on my list is Kutch Rann Utsav, which I had to postpone last year. Organized by Gujarat tourism in the Kutch region of Bhuj district every year, this is a celebration of the local culture and a display of ethnic pride. 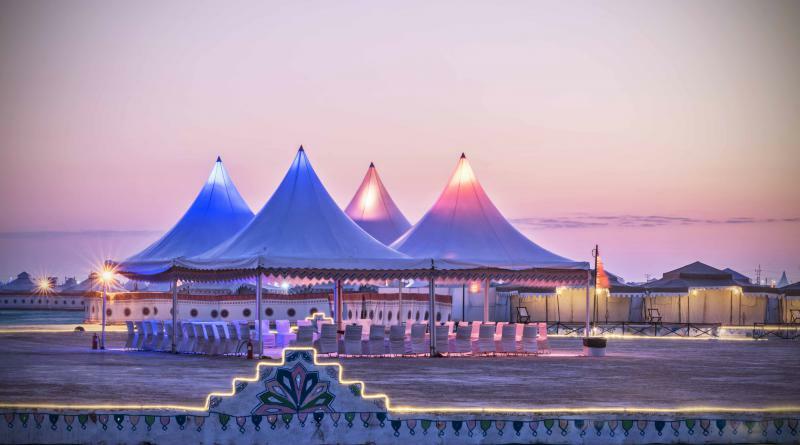 Held every year from 1st November to 28th February, the Rann Utsav is an extravaganza of ethnic food, dance music and crafts. The Rann of Kutch is one of the largest salt deserts in the world and the Rann Utsav is a festival to be enjoyed under the open skies. 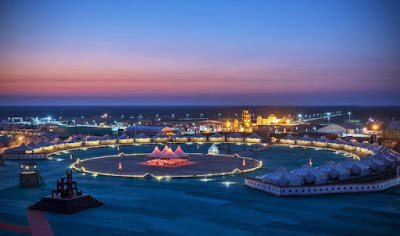 The magnitude of the festival can be gauged from the fact that entire Bhuj district goes festive during this period and for the finale of the festival, a special big tent city is set up near a village called Dhordo. 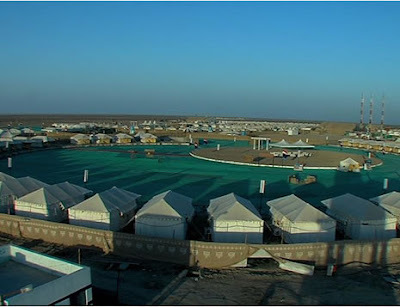 This tent city comprises of 400 AC and non AC tents. The shear scale and grandiosity of the celebrations is enough to leave you awestruck. 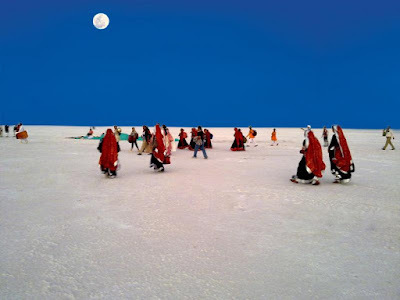 The white sands of the desert shining through full moon nights gives a thrill of a different kind. And the best part is enjoying amazing performances by local artists, sitting around a bonfire outside your tent. You would cherish every moment of it. 2. KHAJJIAR - Second on my list is breathtaking Khajjiar in Himachal Pradesh. 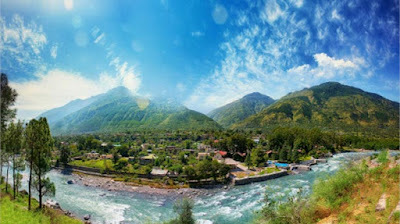 Also called the Switzerland of India, this heavenly place is located near Dalhousie in Himachal Pradesh in north India. This is a unique place in the sense it provides you with a rare combination of lakes, forests and pastures. 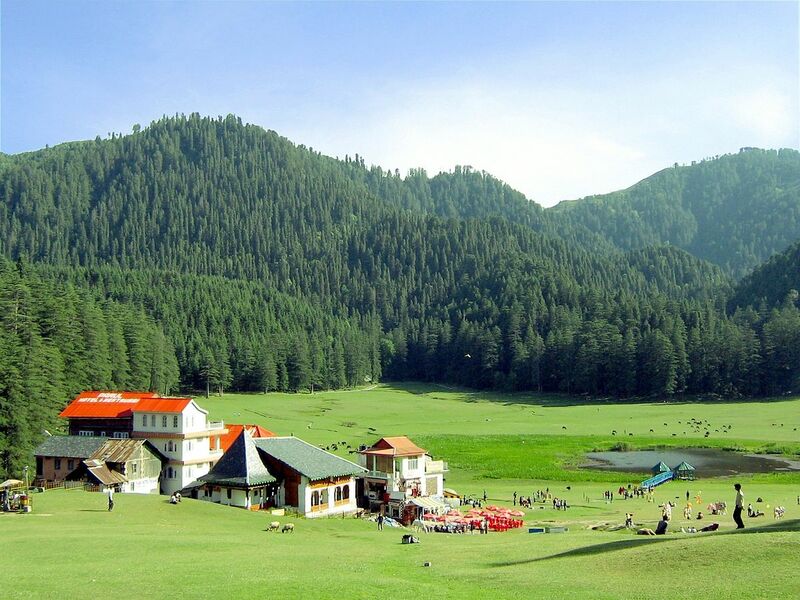 At an altitude of 6500 ft., the beauty and landscape of Khajjiar are sure to mesmerize you. 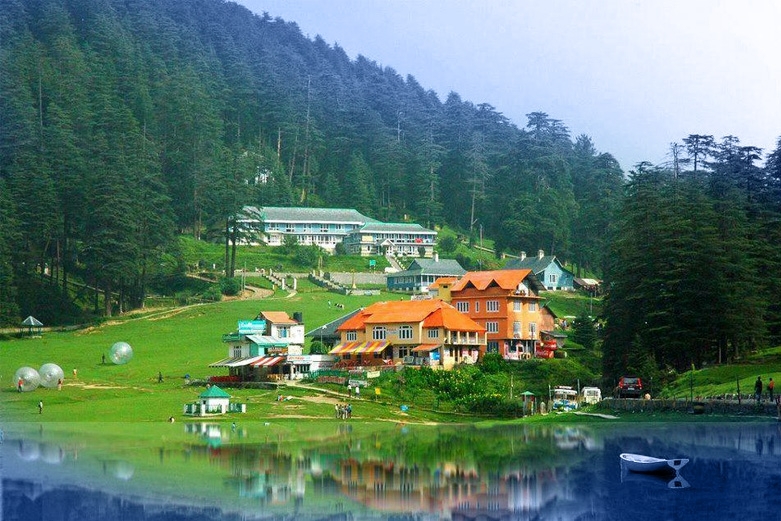 Khajjiar lake, encircled by green pastures and lush green Deodar forests will leave you spellbound. The serenity and natural splendour of the lake will rejuvenate your body and mind. You can get a very good view of the Dhauladhar range of the Himalayas from here along with snow covered peaks. The green meadows and dense forests add to the charm of the place. For adventure seekers, there are enough options like horse riding, trekking, zorbing and paragliding. The nine hole golf course in Khajjiar is situated in the midst of lush green landscapes is simply breathtaking. 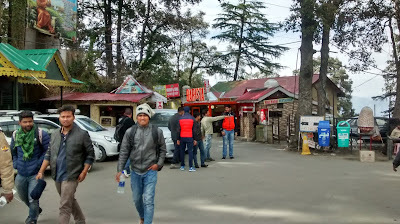 The picturesque village around Khajjiar is an added attraction. You can just go exploring the naturally beautiful country side life, their culture and enjoy the local cuisine with them. 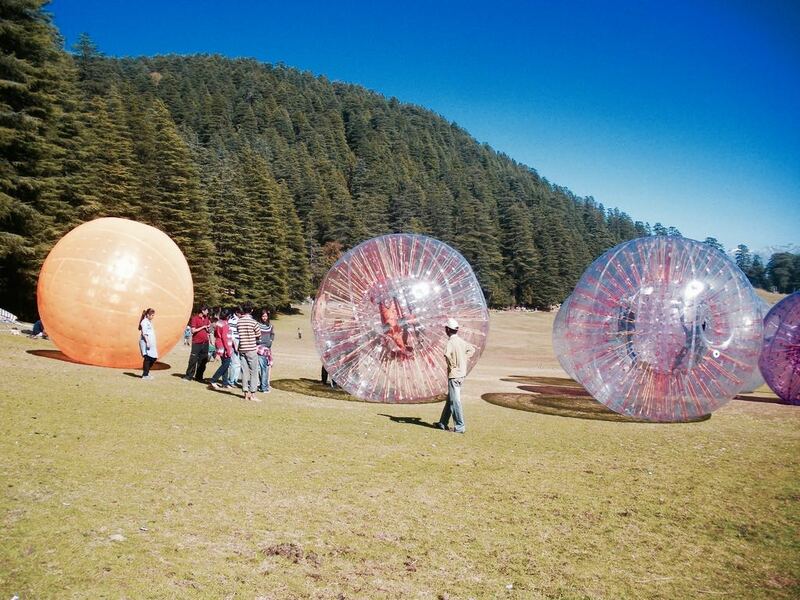 Roam around in apple orchards of Khajjiar and surrounding villages. You will find Khajjiar one of the most amazing places to see in India. 3. 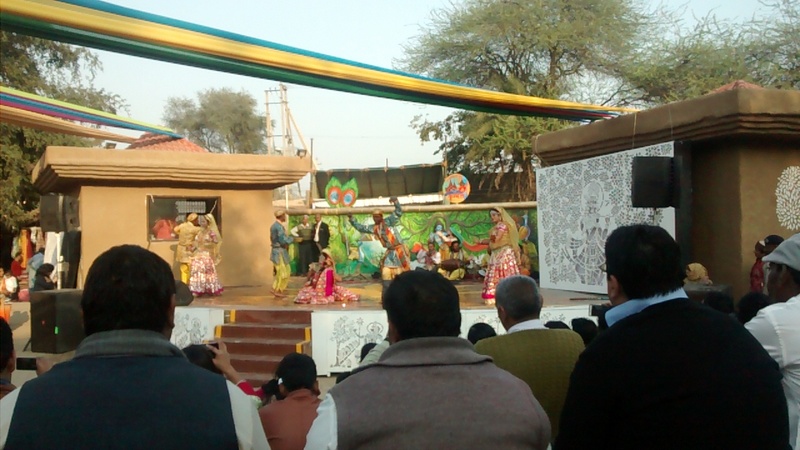 SURAJKUND INTERNATIONAL CRAFTS FAIR - Next up is Surajkund International Crafts Fair. This is one event, I don't want to miss for two reasons. 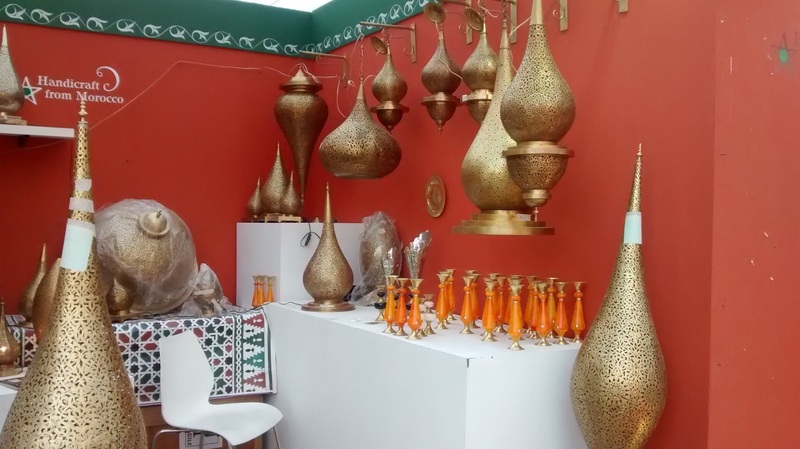 First, it is held in my hometown and second, it has such an amazing assembly of craftsmen from around the world, who showcase their craftsmanship and wares to the world audience through this fare. This is an annual fair held in Surajkund in Faridabad near Delhi. The fair is organized in the first fortnight of February every year. It is a 15 days affair. 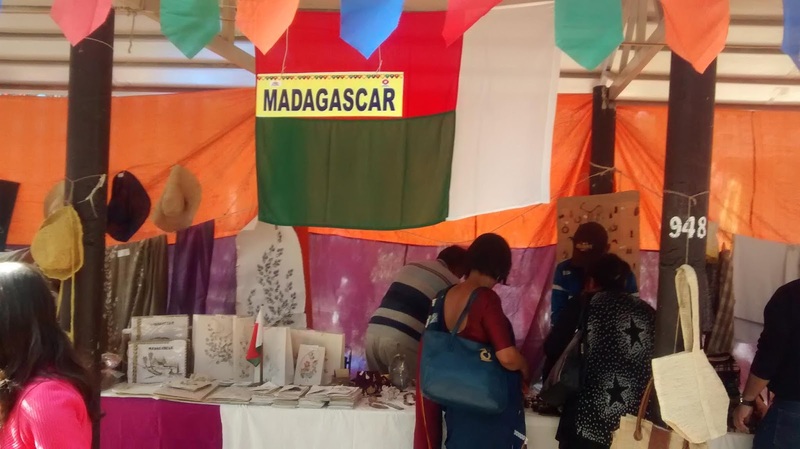 Artisans from various countries participate and display their products. The fair ground is a sprawling complex spread over an area of 40 acres. There are cultural troops from different countries which enthral you with their live performances. And then there is multi cuisine food complex to satisfy your testebuds. Here, you will not only get to eat dishes from different states of India but from the participating countries also. You can pick up what you like from handicrafts, garments, home decor, utensils, display items and even some innovative gift items from here. 4. BERINAG - This beautiful hill destination is next on my list. Also known as the "town of snake temples" (Nag in the name means snake), Berinag is an epitome of natural beauty. Situated in Pithoragadh district of Uttarakhand, Berinag is a serene hamlet, away from the hustle bustle of the cities. 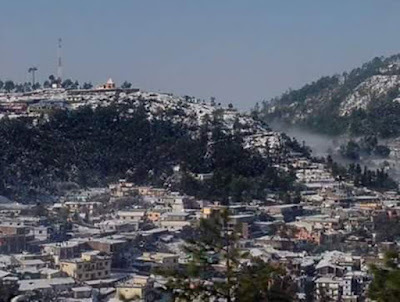 It is located at 160 km(100 mi) from it's more famous and bigger cousin, Nainital, at an altitude of 1860 m(6100 ft). It is an ideal place to connect with nature. 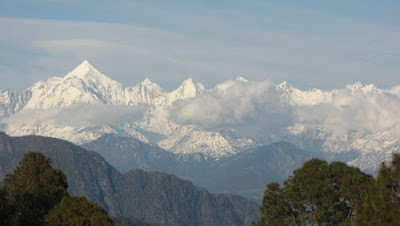 You can get a majestic view of some of the crowning peaks of the great Himalayas loke Trishul and Nanda Devi. You can even get a view of Nepal Himalayas at a distance from here. A hidden jewel of Berinag is it's lush green tea gardens. 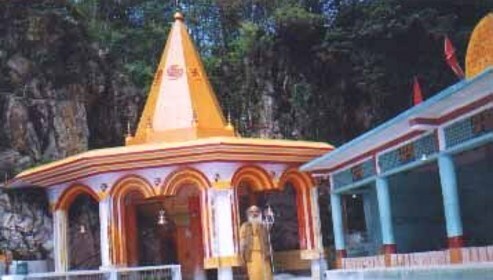 The Nag Devta temple is the main snake temple erected here and is quite popular. There are not many tousist spots around Berinag but this is a place to soak in as much nature as you can and spend some quiet and relaxing time. Unwind and connect with your inner self at Berinag. 5. RAVANGLA - And Ravangla in Sikkim is ultimate. Visiting some of the most beautiful temples and monasteries, indulging in adventure sports, going for trekking, exploring the surroundings and then relaxing with a cup of coffee. That is Ravangla for you. 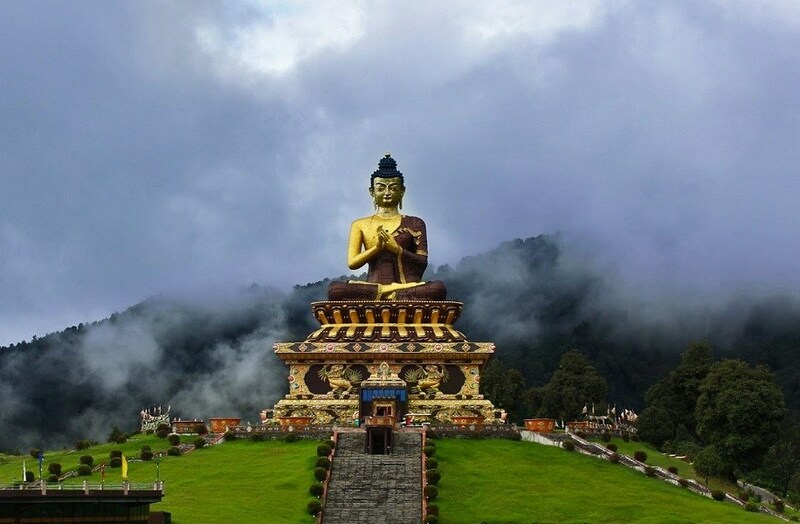 Located at an altitude of 7000 ft, Ravangla is a small town in Sikkim, in north east India. 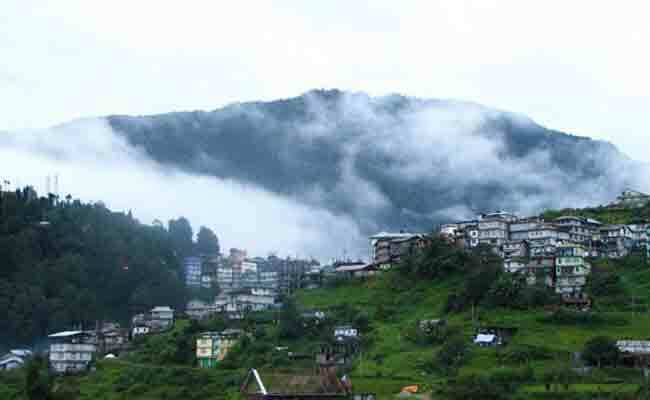 It is 65 km(40 mi) away from state capital Gangtok. You are sure to fall in love with the landscape and tranquillity of this place. With Kanchenjunga peaks in the backdrop, it presents a breathtaking sight. 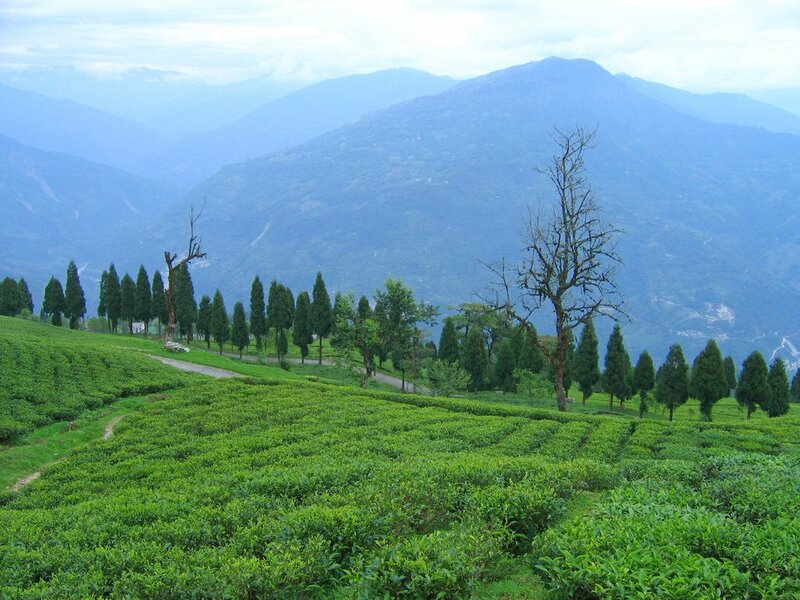 The exotic flora and fauna of Ravangla are making it a very attractive destination. The quaint town serves as the base for many treks. Some other Himalayan peaks visible from here are Mt. Sinalchu, Mt. Kabru and Mt. Pandim. Ravangla is also a bird watcher's delight as it attracts a lot of Himalayan birds. And if you are a photographer, then head straight to Ravangla to click an unending number of pictures of mesmerizing surroundings. This is yet another amazing place to see in India. So what is in your bucket list for 2019? I would love to add to my list of amazing places to see in India above. So do let me know in comments. This is great and informative post. Thanks For Sharing Such beautiful information with us. I hope you will share some more information about this post. please keep sharing! Thanks Ankita. This is just a bucket list. I will surely share more as and when I happen to visit these places. I will share my experience. Hi! I simply would like to give you a big thumbs up for your great info you have got right here on this post. Thanks a lot for liking. I invite you to subscribe to my blog to keep getting latest updates. Εxcellent blog here! Also yoսr site loads up fast! What h᧐st arе you using? Can I get your affiliate link to your host? Thank you very much for words of appreciation. I would rather love to know who I am discussing with. That way we would be able to engage better. Hello, thanks for sharing this post. This post is really helpful for those people who are looking for amazing things to do in India. I have also enjoyed KUTCH RANN UTSAV and some beautiful temples in Ravangla, Sikkim. 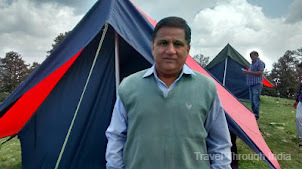 There are many beautiful places in India, if you want to visit them then have a look at this amazing incredible india tour. Thanks. These are indeed majestic places. Do visits once.